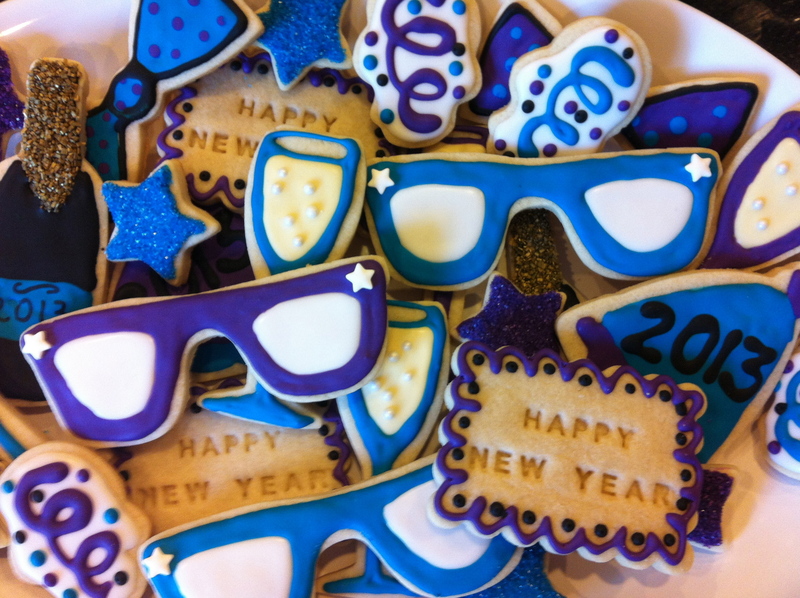 Happy New Year…Party on a Platter! Hope your party plans call for champagne, hats, streamers, and fun! 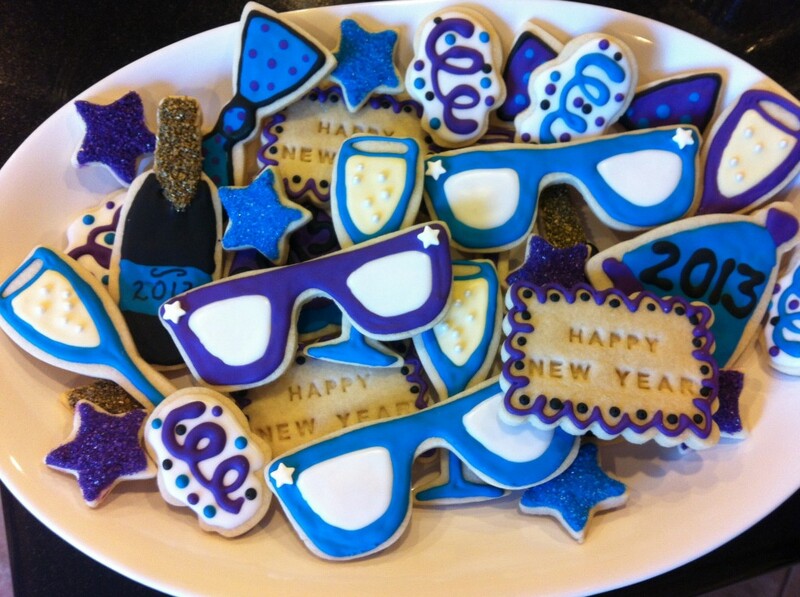 We decided to make everything needed for a New Year’s Eve party! We are looking forward to photo prop fun with the sunglasses, bow ties, and hats. 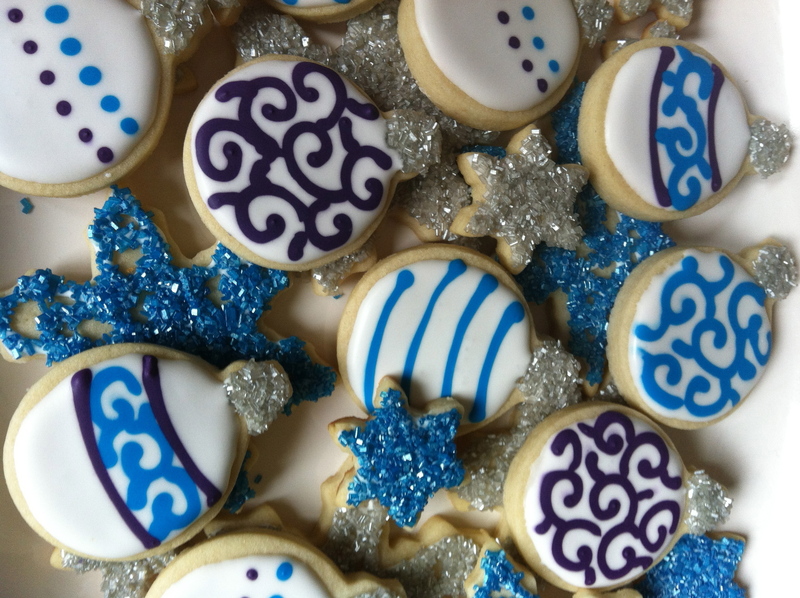 We are sure that these won’t last long tonight! Hope your New Year’s Eve is full of sweet memories. 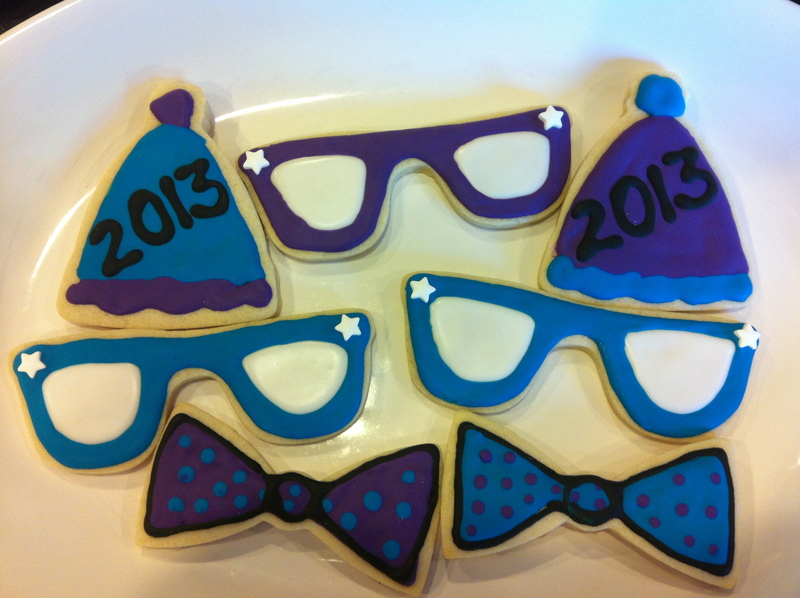 Wishing everyone health and happiness and lots of cookies in 2013! We want your opinion? 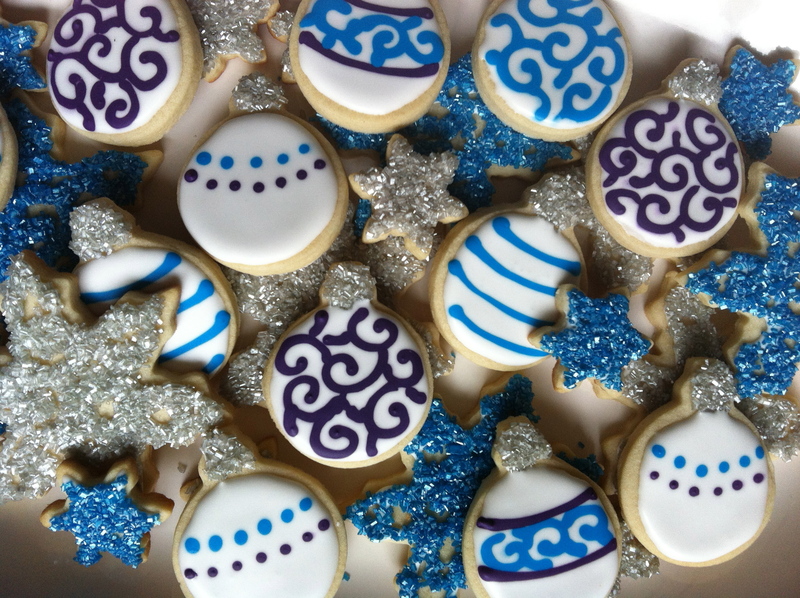 We decided we much prefer these royal, jewel-tone Christmas cookies over the traditional red and white. Of course we have made both this season. Which do you prefer? 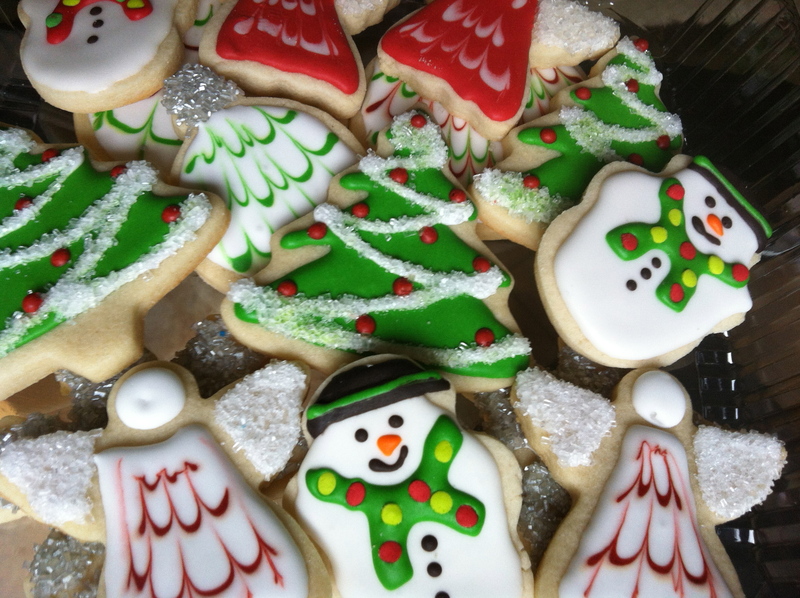 To those who celebrate…have a Merry Christmas! 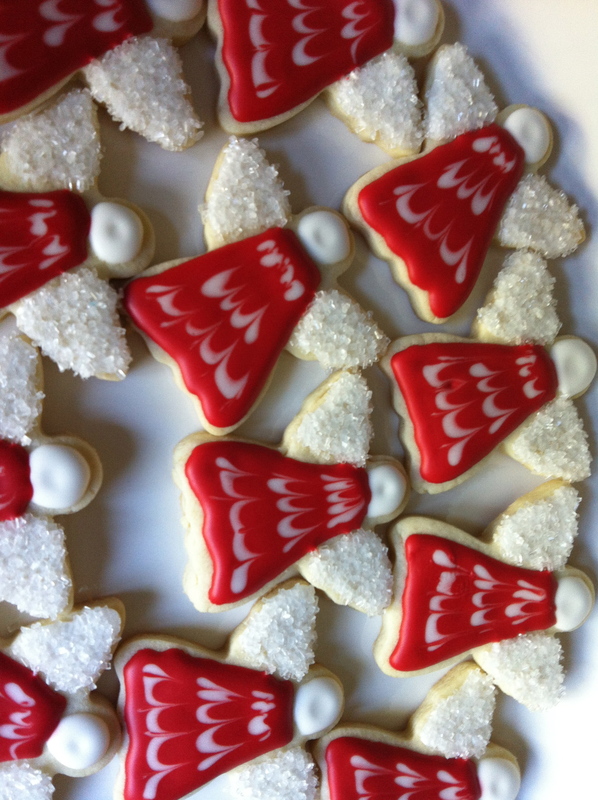 For comparison…..Here are the traditional red and white! 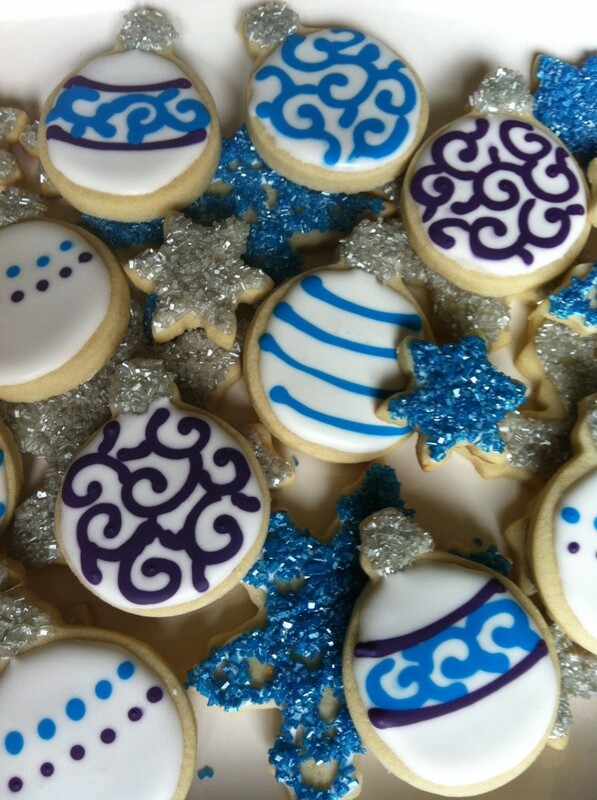 We are busy making teacher gifts for the holidays. 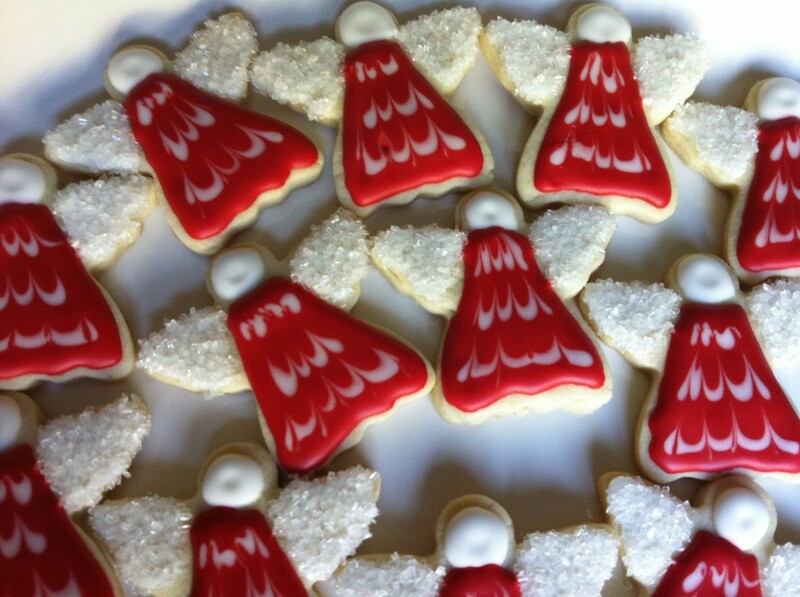 This years theme is “Thank You for Teaching our Little Angels.” We love the simplicity of red and white together. For other angel inspiration check out sweetsugarbelle.com who did a beautiful tribute post to the families in Connecticut. Enjoy!